A study conducted by researchers from the University of Washington have discovered that gender stereotypes about math already develop as early as the second grade. 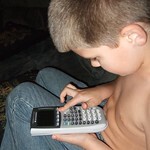 According to the ScienceDaily report, children as young as those in the second grade already express the stereotype that math is for boys. In addition, the study’s subjects, who are in grades one through five in Seattle-area schools, embrace the stereotype, with boys identifying with math and while girls do not. The results of the study about math self-concept support the claim that so few women pursue careers in science, mathematics and engineering because of culturally-communicated messages expressing that math is for boys and not for girls. The study, which was funded by a National Science Foundation grant to the LIFE Science of Learning Center, was published in the journal Child Development. This entry was posted on Wednesday, October 23rd, 2013 at 1:23 pm	and is filed under Summary. You can follow any responses to this entry through the RSS 2.0 feed. You can skip to the end and leave a response. Pinging is currently not allowed.